A botnet involving over 10,000 computer IP addresses was the culprit of an “orchestrated, professional” DDoS attack that caused voting delays in last weekend’s NDP leadership election, according to the company that ran the online balloting procedure. But the culprit or culprits responsible for launching the distributeddenial of service (DDoS) attack have not been nabbed yet, said ScytlCanada, the Toronto division of the Spanish firm that was contracted bythe New Democratic Party (NDP) to oversee electronic voting at theevent on March 23 and 24. Although a botnet delayed votingby three hours, it didn’t alter the process enough to corrupt theresults leading to Thomas Mulcair’s victory, an audit has found. “A forensic investigation is now underway to attempt to locate thesource(s) of the attack,” Scytl Canada said in a statement issuedtoday. “We deeply regret the inconvenience to NPD voters caused by thismalicious, massive, orchestrated attempt to thwart democracy,”ScytlCanada general manager Susan Crutchlow added in the news release. 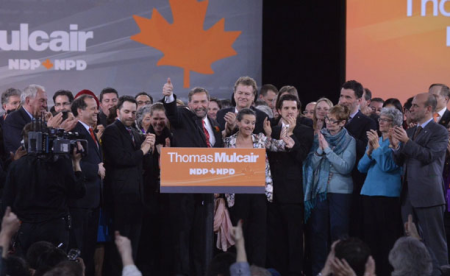 Looks like democracy remains intact, however: an independent audit byPriceWaterhouseCoopers has ruled that the vote was ultimately notcompromised in any way that would alter its outcome, which saw ThomasMulcair win to replace the late Jack Layton as national leader of theNDP. The cyberattack overwhelmed the onlinevoting procedure and delayed theoverall process by three hours.